Overview: The Central Kurds of United States, numbering 13,000, are Engaged yet Unreached. They are part of the Kurd people cluster within the Persian-Median affinity bloc. Globally, this group totals 8,578,400 in 5 countries. 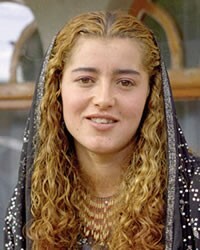 Their primary language is Central Kurdish. The primary religion practiced by the Central Kurds is Islam, a monotheistic religion built around the teachings of the Qur'an and of the prophet Muhammad.